"Waiting On" Wednesday is a weekly event, hosted by Breaking the Spine. Here I will tell you of one not release yet book I can’t wait to read. Now, Saba and her family head west to meet him and start a new life. All should be well. But shadows of the dead are stalking Saba. And another kind of shadow is creeping over the dustlands. Then a messenger shows up. 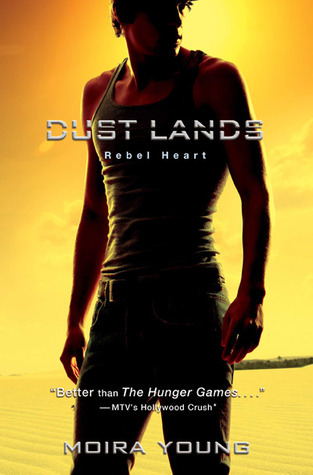 I loved the first book in the series "Blood Red Road" and can NOT wait to read Rebel Heart! The FIRST book was soo good! Great Pick! Love this cover! Still haven't read the first book. Souds good. Great pick! I'm seeing this one a lot today C: The first book was a favorite of mine! I have Blood Red Road on my way to me! I keep hearing it's a great read!